A new book, “The Divided City: Poverty and Prosperity in Urban America” cheers comeback efforts of Detroit and other industrial cities but says they’re accompanied by difficult questions of inclusion. For all the talk, Detroit doesn’t have a gentrification problem. It has a poverty problem. 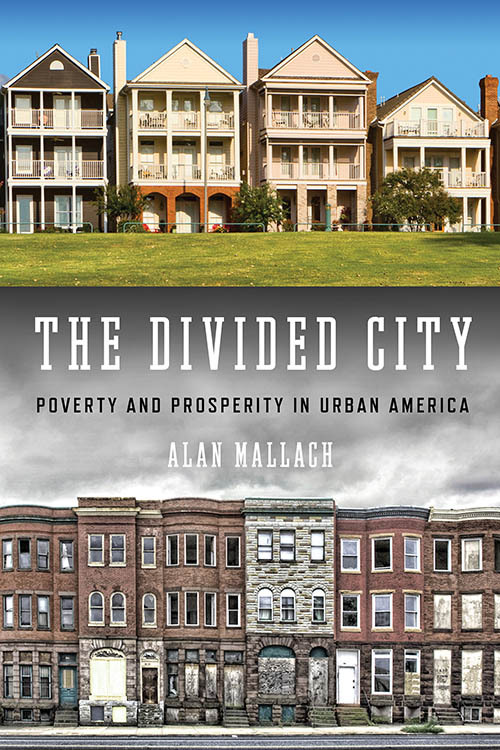 That’s the message from Alan Mallach, an urban scholar and senior fellow at the Center for Community Progress in Washington, D.C. His new book, “The Divided City: Poverty and Prosperity in Urban America” explores the comeback of industrial cities like Cleveland and Detroit that he says few could have predicted. But the revivals mask ongoing problems in neighborhoods and pose difficult questions about equity, Mallach writes. Nearly 40 percent of Detroit is impoverished, and job training should be the city’s top priority over splashy, publicly subsidized projects like Little Caesars Arena, he said. “Perhaps the greatest disparity between the rhetoric of gentrification and the reality of it is on the ground in Detroit,” Mallach writes. Bridge Magazine recently talked to Mallach. The conversation has been edited for length and clarity. You are bullish about the revival of Detroit and other industrial cities. The revival is very real. It’s driven by the extraordinary growth in medical and education sectors since the 1950s and 1960s … from major institutions like the University of Pittsburgh or Detroit Medical Center … and a shift of locational preferences of highly educated young people. Anybody can see it in Detroit. It’s most concentrated in downtown and Midtown, and it’s driven more than any other city by one person: Dan Gilbert has jumpstarted downtown. What are the opportunities and pitfalls of a revival driven by one or two investors? It would have been extraordinarily difficult for downtown Detroit to take off it had not been for sheer mass of investment in a very short period of time by Dan Gilbert. But there’s danger. He could decide it’s not worth it anymore…Putting your cards in one person is always tricky, and the amount of property he owns and amount of control he exercises in downtown Detroit act as a deterrent for other people to come in. Is there gentrification in Detroit? A little. Downtown is now occupied by relatively upscale, predominately white people. But that was not a residential neighborhood in the past, so (few) were priced out and you can argue it’s not true gentrification … In terms of neighborhoods in the classic sense of gentrification, there’s very little in Detroit. What has happened far more is that viable working-class neighborhoods have declined drastically as residents move out and become concentrated poverty areas. The number of neighborhoods where that has happened is far greater than the number that have seen gentrification. Detroit is a big city. Are soaring rents in one or two neighborhoods a problem? There’s a real difference in what’s happening in Detroit and Cleveland and Washington D.C. or San Francisco. If you are priced out of Midtown, you can find something that is comparable a mile away. If you are priced out in San Francisco, that’s not an option. Cities are far healthier places with economically diverse populations. When you have a city that is as high-poverty as Detroit, economic diversity means you encourage middle-class people to move in. The problem isn’t that the middle-class is moving in. The problem is you aren’t allowing poor people to join the middle class. But even if there’s little gentrification, you write that the issue is more emotional in Detroit than other cities. Why? There is a pervasive narrative in the national media about being a clean slate. “Come to Detroit, you young artist, you Millenial, you techie, and you can reinvent yourself and the city.” This is deeply offensive, and contributes to the sense that there are people using Detroit in a way that’s not in the interest of the majority of its residents. Detroit is 80 percent African-American. If you walk around Campus Martius, the faces you see are 80 percent white. The people moving into the city are more likely to be white. The people moving out are more likely to be black. And who is making the big decisions about Detroit? (Mayor) Mike Duggan, Dan Gilbert … Race is the subtext for all these issues. Is there a way to revive the city inclusively? Detroit is trying. I admire Mayor Duggan quite a bit. He has an incredibly positive can-do, damn-the-torpedoes approach that serves the city well. But there are two big issues. The first is the education system by virtue of the state’s inconceivably bad charter school law. Most of the kids growing up poor in Detroit are getting the kind of education that will lock them into poverty as adults. Second is need for a systematic workforce strategy to get jobs, preferably within the city. Should the money Detroit spent on big-ticket items like Little Caesars Arena gone to job training? Could you have gotten more benefit for the people of Detroit in the long run if you had? Probably, yes. But it wouldn’t have been as visible. It doesn’t get you groundbreakings or ribbon-cuttings. That’s a problem. Duggan tends to be a tactical rather than a strategic thinker. Detroit is at a point now where it has to move beyond visible symbols like the QLine and Little Caesars and lay the groundwork for the future. What needs to happen in the next five years? Short of divine intervention? I would like to see the new Legislature and governor rewrite the charter school law so there is quality control and accountability. Until that happens, I don’t see a lot of hope. I would love to see everyone – major employers, the government, nonprofits, etc. – get together and (create) a system that would allow anyone in Detroit with basic skills and mobility to get training to get and hold a job, along with a commitment from major employers to prioritize Detroit residents for jobs that open up. The basic revival trajectory is positive. It can continue. But that doesn’t mean cities can take it for granted. RELATED: Is Detroit finally turning the corner? "But there are two big issues. The first is the education system by virtue of the state’s inconceivably bad charter school law. Most of the kids growing up poor in Detroit are getting the kind of education that will lock them into poverty as adults." Hey, Bridge, what can be done about Michigan's "inconceivably bad charter school law???" Please hit the candidates for governor (and others as well) about this. . . . "inconceivably bad." How do you know? Do you live in Detroit? Send your kids to DPS? Or are you wealthy enough to buy a home where your kids don't have to associate with those kids? Let alone do you know these kids who choose other options? Or is t that you're just some who directly benefits from the status quo monopoly? It is not about education, it is not about charter schools. It is about the student's desire to learn and it is learning how to learn. All education does is introduce the student to the information, the teachers are coaches no the person able to make a student learn. The student is one to learn and they are the one that must do the work to learn. Until we stop pointing the fingers at other adults and talking only at other adult, and we focus on the students' desire to learn nothing will change in the success of our students. Duane. You are wrong. There are no resources and funding for the children to learn. You are blaming the failure of education on students' desire and thats inherently oppressive and classist. I wonder if Mr. Kurth and Bridge can let go of the focus on who people are and start looking to what people do. Rather that only measuring [80% you see here or 80% you see there] the 'color' of someone's face, why not include the percent of what people do [education, special skilled artist, entrepreneurs]? When all you count is who people are you diminish what people are doing. If there is an income gap, then report what is growing that gap [education or lack of education]. We are in a knowledge and skills based world, not a gender, ethnicity, life style based economy. We are no longer in a work harder, work longer economy. We are in a work smarter economy and until that becomes the focus of reporting rather than the reporting on what was done it will only reinforce the past not prepare for the future. The state of Detroit, like every other town, people get what they expect, whether it by the ballot box, by how they spend their money, by how they invest their time and hopes. I don't live in Detroit, but you can see Detroit's situation replicated in towns around Michigan and you will find the same pattern of what people do and how they invest in themselves and in their children determines how town is and will be. Hey thanks for reading Duane. Just to be clear: Race is mentioned once in the article, and it's by Alan Mallach. Not me or Bridge. But I appreciate the idea. Thank you for reading my remarks. After rereading the article, I struggle with determining what Mr. Mallach was saying and what was reporting, and if Mr. Wallach's information provides a whole view of Detroit. Hey, I appreciate the feedback, Duane. We've tried to simplify the format on Q&As but if we've done so at the expense of making it unclear who is doing the talking, that's something we need to address. Appreciate it! 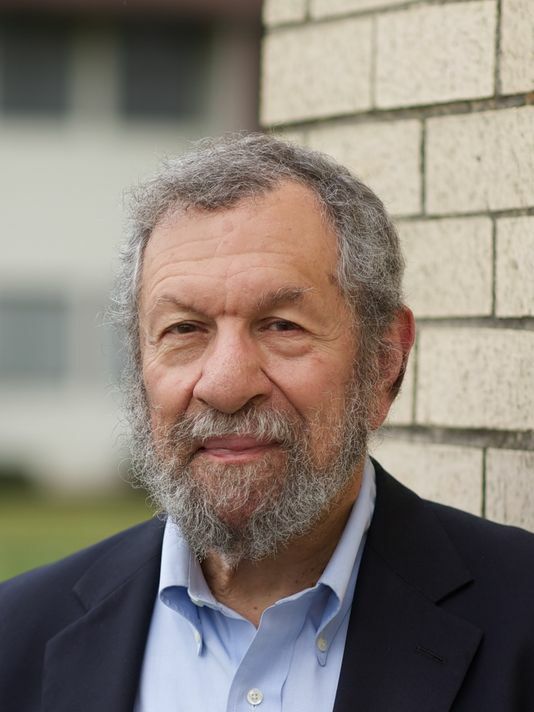 Mr. Mallach is absolutely correct in identifying how our present laissez faire charter school law is sabotaging cities like Detroit and Flint. No corporation will invest in a city unless their are good schools there. At present, charters can lure desperate families into enrolling their students while the state imposes no consequences on them for poor performance. The consequences for poorly performing charters fall on their students, on the local public schools that have lost funding (while enduring the full scrutiny of the state), and on other residents. Like roads, the terrible state of Michigan's educational system is a primary problem that must be solved. Kicking the can down the road should no longer be an option! The revitalization of Detroit requires much more than new factories, well paying jobs and an improved school system . The city has endured decades of political corruption, the loss of thousands of jobs as the heartbeat that built the foundation of a vibrant metropolis, the auto industry experienced a technological transition & an evaporating tax base. And like every other big city, the proliferation of drugs, crime & broken households infected many innocent children. Remember, the youth that attend the broken school system are products of their environment, single parent homes many of which are battling households of drugs & poverty. How can we expect them to transform themselves into high school grads full of ambition and goals (other than dreams of NBA riches) when few have been exposed to those principles? They need exposure to potential career paths starting in middle school or earlier. Capturing their interest requires hands-on involvement in activities to new skills with incentives to participate. For example, programs that involve kids 6+ in auto mechanics involve them in welding, painting & other hands on skills . Private-public partnerships can create these opportunities. Other cities are doing it, the Motor City can too. Turning Detroit around will take years and many commited business leaders like Penske, Gilbert, & entrepreneurs of all sizes taking initiative. No business is too big or too small to create these opportunities. Detroit has great potential. Just tap into those huge hearts & sincere souls Michiganders have. I'm a former Detroiter who hopes to return and invest in the transition of a city I cherish.